Special note: For the Fall travel season, team registrations are due by the July 26th. Therefore, contact the program coordinator or a Club Board member by mid-July to indicate your interest in participating. For the Spring travel season, team registrations are due by mid-January. Therefore, contact the program coordinator or a Club Board member during December to indicate your interest in participating. Please read the Letter To Members to understand the distinction between recreational and travel soccer and the level of involvement and commitment by both players and parents for the two types of programs. Travel fees of $100 to $135/player (depending on age bracket) include a league registration fee, referee’s fees, coaches compensation, referee assignor’s fee, field maintenance costs, jersey cost. In general, the total team fees are split between all the players on a given team. Tournament fees, if applicable, are additional. Fees are due at the first practice. Scholarships of 1/2 fee are available through the Club so that all players have the opportunity to play. To request a scholarship, please contact the Club Board here. Travel teams have dedicated coaches, and usually a separate manager and assistant coach. A travel team usually consists of a roster of between 11 to 18 players, depending on age group. teams generally practice two times a week during seasons (determined by coaches), and games are generally played on weekends. All teams play 4 home games, and 4 away games, all played in surrounding townships as close as Lansing, and as far away as Cooperstown. Review league information for the Broome County Fall Travel League or the Broome County Spring Soccer League (BCSA). Publicize league and program information to Club membership (via email, signs, letters to newspapers). Post deadline for team registration on Club website and disseminate information to the team managers. Help to fill roster and identify a coach and manager for each team. 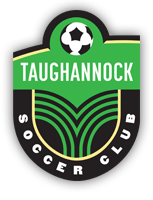 Tabulate fees associated with the program for each age group (including league fee, referee fees, field maintenance fee, equipment fee, coach’s fee, if applicable, and, for the Spring travel league only, player’s passes). Notify the managers about these fees. Complete a Field Availability form (one form per field) for all teams and submit to the league coordinator. Submit a Field Use Request form (for permission to use school facilities) to the Trumansburg School District. Make arrangements for fields to be laid out and repainted regularly throughout the season. Check Club jerseys to ensure that proper number and sizes of jerseys are available for all teams. Confirm that a Club team will be forming for your age group and gender. Register with the Club by filling out a membership form and giving it, along with the membership fee, to the team manager. For first time travel league players, a photocopy of your birth certificate or passport is required to confirm your age. Review the Club’s Code of Conduct. For the Broome County spring league, request a player’s pass from the Registrar. This requires an additional $6 fee, which will be included in the total fee paid to the team manager. A 1-inch photo of the player is required to complete the pass. Register player with the Club. Pay program fee to the team manager. Fill out Medical Release Form and give to manager. Review Club’s Code of Conduct. Obtain an up-to-date Coach’s Pass (i.e., Risk Management Process). Check New York State West Youth Soccer Association website for information. Send an email to the Club Registrar to request a pass and start the process — include your FULL name, birthdate, home address, home phone number, and an email address you would like to use. The registrar will process your request and NYSWYSA will email you instructions. The Registrar will notify you when your pass has been received. The cost of the pass will be paid by the Club. Identify equipment needs and inform the Program Coordinator. Review league information for the Broome County Fall Soccer League and/or for the Broome County Spring Soccer League (BCSA). For both leagues, all teams will be registered by the Club. Along with manager, sign and submit the League’s Code of Conduct form to the league coordinator. File Game Reports, as needed. If you plan to be on the team side of the field during games, obtain an up-to-date Manager’s Pass (i.e., Risk Management Process). Check New York State West Youth Soccer Association website for information. Follow instructions given above for Coaches. Divide total Program fee for the team (computed by the TSC Program Coordinator), and collect each player’s share of this fee. Send the league fee to the league coordinator, the Club program fee and fees for players’ passes (BCSA league only) to the Club Treasurer, and retain the referees’ fees. Collect players’ Club membership forms (for any player, who has not already registered with the Club for the current soccer year). Pass the forms, along with the team name, age group, names of the coach, the manager, and a complete list of players, to the Registrar. The Registrar will create an official team roster and make arrangements to get the roster to the manager before the first game. Collect a medical release form from each player. Bring these forms and the referee fee to each game. Contact Uniform Coordinator and obtain the required number and sizes of jerseys. Submit Team Scheduling Request (Game Conflict) form to league coordinator. Along with coach, sign and submit the League’s Code of Conduct form to the league coordinator.